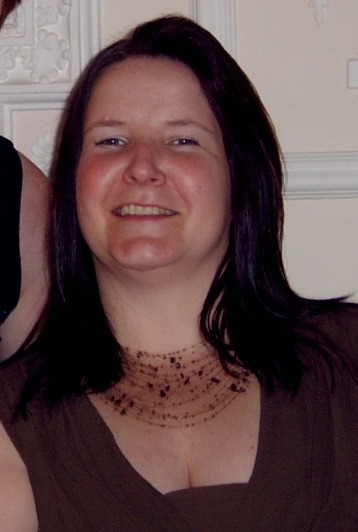 My name is Carol Fry, I am the franchisee for What’s on 4 Me in Central Manchester and Stockport. I live with my partner and our three children in Heaton Mersey. Between us we dabble in karate, rugby, football, gymnastics, music, chess and rounders and we’re always on the look-out for our next challenge. (I’ve got my eye on a Tabata class at my local sports centre which should complement my karate training nicely). Up until very recently I worked for the Ministry of Justice as a court clerk in the crown court. I decided to take on the challenge of What’s On 4 Me in Stockport and Manchester in order to have a career that allowed me to work from home and have a better work life balance. At the moment I’m diverting all my energy and spare time into training for my next grading in December 2011 when I’m hoping to earn my brown belt in Shukokai Karate. One of my goals in life is to achieve and then maintain a good level of fitness and flexibility. Up to now I hoped to achieve this by working towards attaining ‘the coveted black belt’. However, since taking on my local What’s On 4 Me I’ve come across so many different activities and classes that I want to try that I’m not sure how I’ll be able to fit it all in. I think I may have tipped the balance too far the other way! See Central Manchester and Stockport What’s On 4 Me today! Nottinghamshire What’s On 4 Me is here!! “Hi, I’m Heather, the What’s On 4 Me NOTTINGHAMSHIRE Franchisee and it is my mission to bring you all of the local activities, classes and events that are happening around the region. I’m a single mum, with a beautiful (and headstrong!) 8 year old daughter. When I’m not operating “mum’s taxi” to ferry her to her many clubs and activities, or running three businesses from home, I still try to find some “me” time to meet new people and do the things I enjoy. I love the theatre and am involved in amateur dramatics and I have recently rediscovered Modern Jive dancing, which is very addictive! Finding local activities and events you would like to take part in can often be difficult and time consuming and this is what inspired me to take on the Nottinghamshire What’s On 4 Me site. This brand new website from the What’s On 4 family is dedicated to adults of all ages, from all walks of life, with interests as diverse as you can imagine. The website quickly shows the classes, groups, activities and events in NOTTINGHAMSHIRE that YOU can be involved with. Now there’s no excuse not to have a fantastic social life!! So, why not do a search and find out what you can join in with! You may be very surprised to see What’s On 4 You! Well, I’m not normally a very creative type, but I have to give myself a pat on the back for this one! I wanted to create a short video clip to give a flavour of “What’s On 4 Me” (www.whatson4me.co.uk) and the listings we promote – to inspire our visitors! It’s not 100%, but it’s a big step on the road there! I’d love to know what you think…! Have you ever presented LIVE across the t’internet? Well I did last month and it was probably one of the scariest and weirdest things I have ever done! Of course I was presenting from the comfort of my own home, to a web camera, but I was constantly aware that there were people across the UK watching my every move! And I could see people joining and the “room” getting steadily busier! It was pretty nerve-wracking if I’m honest, as most things new that you do are! But when I watched it back it wasn’t particularly bad – and me being my worst critic would have told myself so too! I’m by no means an expert, but if you have a LIVE webinar coming up and would like some advice then feel free to give me a shout. They’re pretty easy to set up and I would be more than happy to let you know what I learned from the experience! The presentation describes all the benefits of What’s On 4 Me from a franchising perspective, so if that’s not your bag then just watch a little. If it might be something that interests you, then who knows – this could be your first step to a new beginning! As I said – you live and learn!! STOP PRESS! !…South Yorkshire…SOLD! 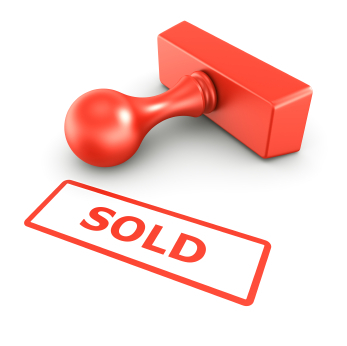 !…Bristol & Somerset…SOLD! !…County Durham…SOLD!! WOW!!! The interest in our County Franchises is unceasing! We’ve recently taken on board our newest Franchise in South Yorkshire, just last week – and Bev already has a site which is 90% ready for business. The training and set up is simple, quick and easy – and our newest Franchise is really setting the pace – Well done Bev!! Our What’s On 4 Me team is really shaping up to be a example of how working mum’s really can have it all and I’m so proud to be at the helm! We’re providing many people now with a less-stressed lifestyle and I’m so grateful to be able to do that. Because WO4M can be run part time it fits nicely between the critical school runs! As it’s flexible you never miss a school assembly or you can choose to have an early start to a long weekend – Bliss!! No more rush hour traffic YEAHHH!!! because you work from home!!! And no stressed boss giving you a to-do list as long as your arm….because you are your own boss! What a brilliant year 2011 is turning out to be!! PS – By the way….we’ve a number of Franchisees progressing at the moment, so please check with me that your preferred County is still available before getting too excited! See our Franchise Information page for contact details and get in touch to check the availability! South Yorkshire What’s On 4 Me has arrived!! Another Franchise has been sold in the South Yorkshire region and Bev O’Sullivan is the very proud owner! Bev brings Travel and Tourism experience and local business experience to the What’s On 4 Me Team – and you can read her biography on line on the South Yorkshire What’s On 4 Me site. We’re very pleased to have another Franchise on board and Bev is working at tremendous speed and her website is almost 90% ready after only a few short hours of training – I have been astounded at how quick her web development has happened! Good luck to Bev and her partner Brian who is fully on board too with the South Yorkshire Franchise and we’ll all be keeping an eye on developments in the region! Wow – where has 2010 gone? Wow – where has 2010 gone? This year has been such a busy year – all in great ways – but the time has just flown! On a business front, I began 2010 pursuing a new business idea – whatson4me. This idea quickly gathered momentum and gained local business support. Before I knew it I became the Master Franchisee for the UK for whatson4me.co.uk! The starting of a new business has been an absolute thrill – much better than I ever anticipated. Besides my personal satisfaction, I was rewarded by, would you believe it – winning business awards!! Who’d have thought, so early on! Sometimes I think that I’m very lucky…but as a great man once said “Luck is what happens when preparation meets opportunity.” I was very prepared to meet the challenges and I’ve continued in this vain and the business has gone from strength to strength. This really sets the groundwork for 2011, so I can’t wait to get going again to see what the New Year brings!! We’ve also had a busy social calendar too. 2010 has been a year of family weddings, funerals, christenings and big birthdays. We’ve also had our fair share of fancy dress parties (which seem to be all the rage now!) and awards ceremonies and a whole variety of other weekends (races, boxing, etc). It has to be said, we’re normally busy, so this has been no great demand on us – but we’ve been in social overdrive this year!! And our busy life didn’t seem to slow down till around the beginning of December! What a year on all fronts. So, over the past few Festive days we have enjoyed a few days off with our family! 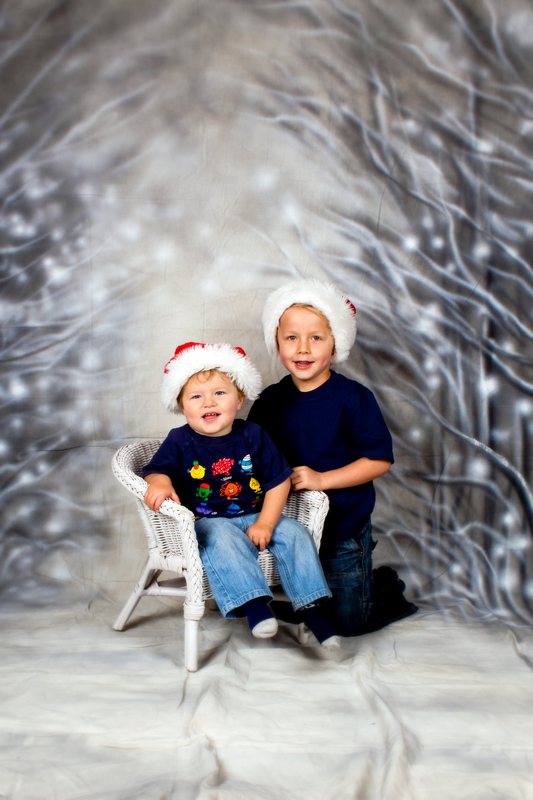 And on a family note, my two boys have grown up so much this year. My 4 year old is now at school and already knows everything! And my one year old is almost walking and talking! It’s also been great to have our family over from America. We miss them so much and our boys relish seeing their only grandparents, so it was brilliant to have them stay for the Christmas period. So, all in all – 2010 has been one very busy year!! Something has to give though – and in such a busy year the thing that has fallen by the way side this year is work on our house! We normally have several projects on the go, both inside and out, on every level from décor to construction. However, this year, with the new business, busy family life and exceptionally busy social calendar, I’ve barely had time to start the vacuum! And so, now our thoughts turn to 2011…and if I could replicate 2010, then it will be an amazing year! However, you have to shape your own destiny. Things don’t happen by themselves. You have to devise your plan and turn it into action! So……I’m off to devise my plan of action! What a brilliant month October was and what a cracking month November is shaping up to be! Its celebration time all round!! 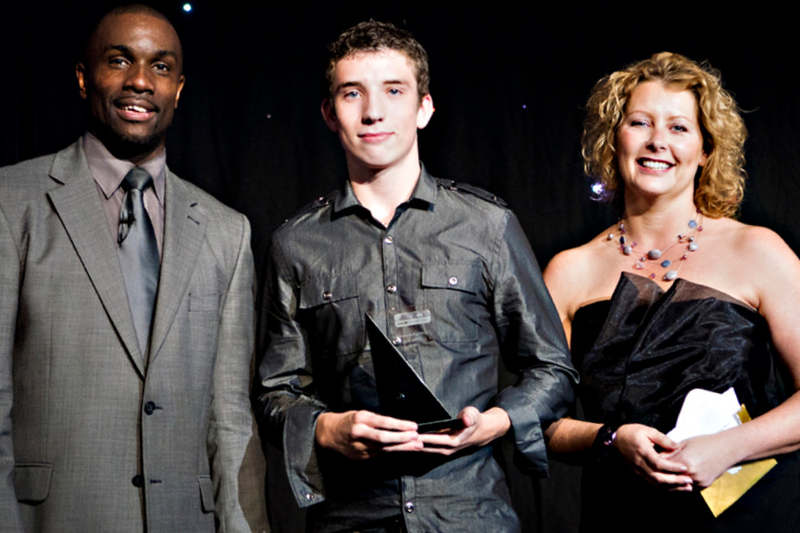 Firstly, October saw me presenting the “Sporting Achievement of the Year Award” with Derek Redmond at the County Durham Sports Awards! What a fantastic speaker that guy is! Just what the achievers needed to hear – and inspiring half an hour of wisdom from a World Class winner! And the winner was Alex Houston, a local gymnast who is winning awards at world-class level, so we quite proudly presented him with the Award! Then, in November I’ve been at the Mumandworking Awards and did a short presentation about What’s On 4 Me. Little did I know that my slot was between Sarah Beeny, TV Celeb, and Antonia Chitty, world-renowned writer on Flexible working, so I felt quite the Celeb too! The Mumandworking Awards celebrated Flexible Working providers and my sponsored Award “Franchisor of the Year” was won by Claire O’Connor, owner of Baby Ballet. Claire now has 23 franchises operational across the UK for Baby Ballet and is on the verge of Internationalising – so well done to Claire! 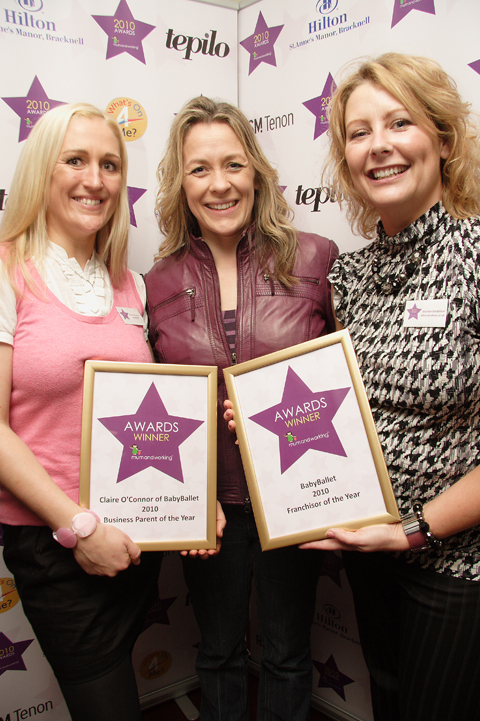 As it happens, she also went to win the “Business Parent of the Year” Award, so she was a double winner on the day! The other major happening in November was our new What’s On 4 Me Franchise coming on board! 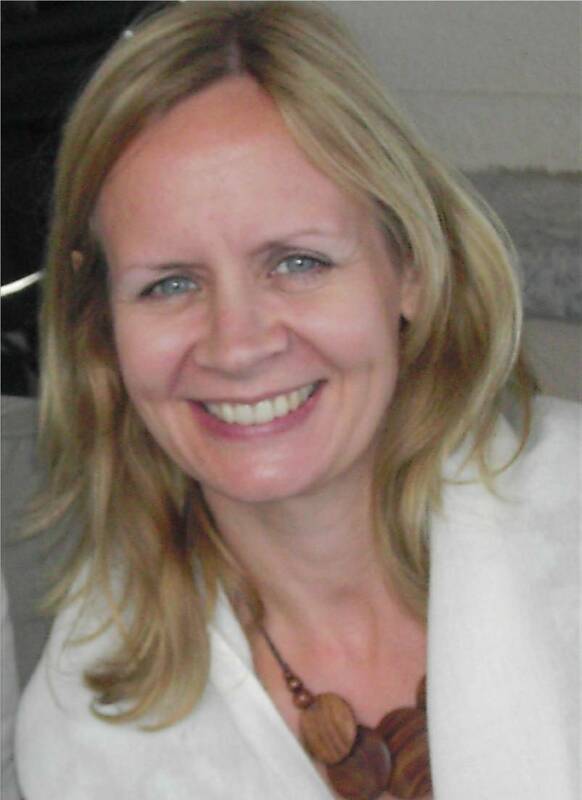 Diane Francis is now leading the way in the Southern regions with the Somerset and Bristol Franchise! Well done to Diane already for creating a site which is shaping up to be quite inspirational – in fact I’ll have to get my skates on or else she’ll be putting County Durham to shame!! Lastly, besides presenting a variety of Awards, I am also in the running for two Awards! Next week is the final for the East Durham Celebration of Enterprise Awards at an Awards Dinner on Wednesday evening. So, I’ll dust off my posh frock again and find my dancing shoes, as fingers crossed, I could be on the receiving end of an Award this time! September – I blinked and missed it!! Well, it’s been a little while since I’ve had a chance to catch up because there has been so much going on! Firstly, the Parkour that my husband Joe took part in was brilliant. Not only did he train with the Parkour experts in the workshops, but he trained all day and took part in a performance! 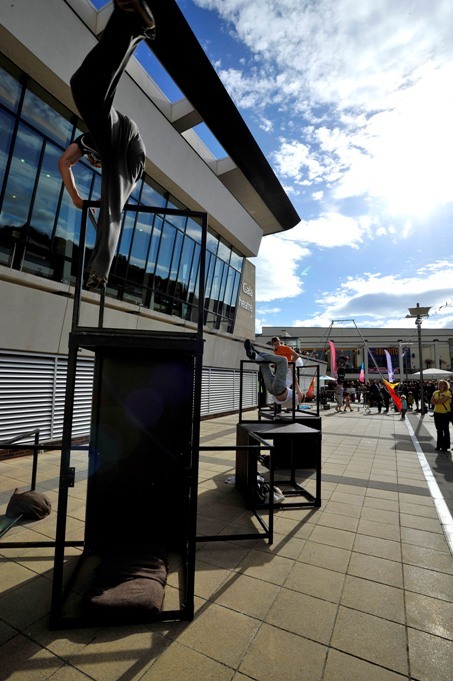 The performance was scheduled as the highlight of the day and took place at 6pm in Millennium Square in the centre of Durham! Hundreds of people watched and the performance made the local Press! Never did we think that a one hour workshop would turn out to be such a spectacular! I’m now keeping my eyes peeled for more events like this because it really was an experience for Joe and also an exciting day for our boys to see such a performance from their Daddy! We’ve also had a variety of events to attend; Fancy Dress parties, a series of 70th, 50th and 40th Birthday Parties, and a couple of weddings! My wardrobe is akin to that of stage set at the moment – but you won’t hear me complaining! And the fun doesn’t end there – this weekend we have the County Durham Sports Awards on Friday evening! Which I’ve yet to find a posh frock for!! And yes I shall be treating myself to pair of new shoes too!! – Well, I am presenting an award, so I have to look the part! On Saturday I’ve organised a 40th Party in Newcastle at a fantastic Japanese Restaurant where we have held lots of parties! Look out Newcastle – especially the Karaoke Room attached to the Restaurant!! And, on the business front, we’re surpassing all targets! We will be welcoming our newest What’s On 4 Me Franchise within the next couple of weeks – Bath, Bristol and Somerset will be coming on board and we’re all very excited!! In County Durham we are going from strength to strength, so much so that we have had to increase our Sales Team to cope with demand. And the feedback has been brilliant – one Dance-fit class now has over 60+ attendees! And we are their primary marketing channel – so we’re absolutely delighted with the attention it’s attracting! Well, I have a to-do list as long as a baboon’s arm, but I promise I’ll be back shortly with photos from the County Durham Sports Awards! So till next time – Take care! !